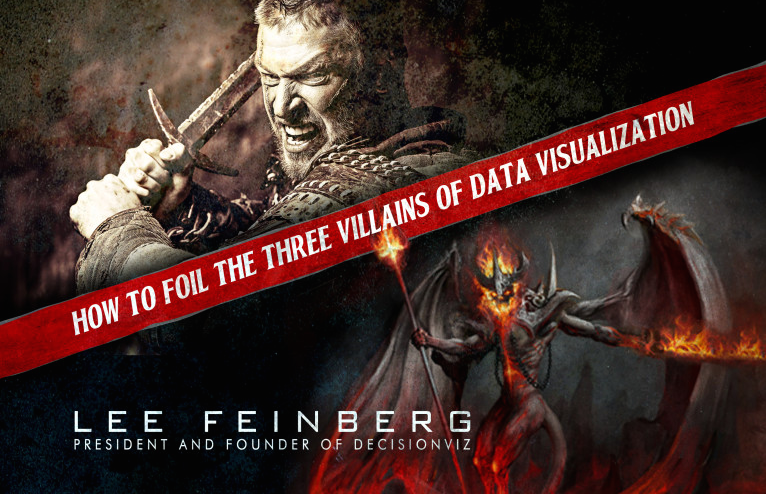 Want to foil the three villains of data visualization? All you need is this quick read from Lee Feinberg. Lee is a data-viz expert, Tableau Ambassador, and founder of DecisionViz. Lee likens this evolution to the age of the dinosaur. Back then, the caveman survived by developing the ability to recognize and differentiate between threats and non-threats. In the modern era, this is no longer about discerning between what can kill you or not, but to know what is good and/or interesting and what is not, especially from a data perspective. In his book, Lee talks about the trouble in recognizing good (engaging) data and which data you should run from. Visualization, when used correctly, vastly accelerates the ability and desire for people to engage with data. Good visualization will promote debate, learning, personal growth—all of which improve your business! I hope you enjoy the book as it's written well, with humor, and most importantly, practical know-how when it comes to helping organizations adopt data visualization. Some people see the need and opportunity to evolve behaviors around data and sense-making. If you're one of those people, you're likely going to give this book to someone you care about helping see the importance of visualizing data—the new survival skill. To download a free copy of the book, visit Lee’s website. This is awesome. Just what I love about Tableau! Thanks Matt. It was a blast to publish! Cave men coexisted with dinosaurs? Hi, thanks for your note. You should have received an email with subject "Become a visualization hero!" and that has the download link. I just tested and worked for me. Please check spam and let me know directly Lee@DecisionViz.com if you have it or not.